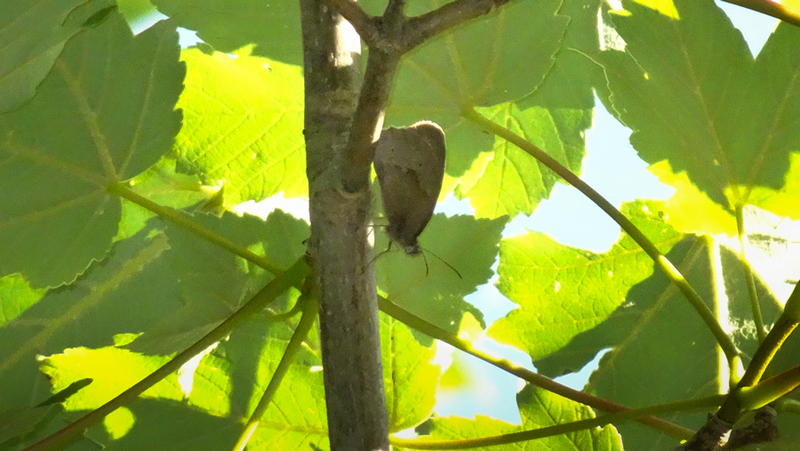 Spotted at least one more Hairstreak Butterfly last night, most likely purple, and in the same spot, in the maple trees. There are oak trees nearby as well. No3 Bed. Before and after welcoming another party of volunteers to do some balsam pulling, David Spencer and I had an enjoyable couple of hours on No.3 bed. 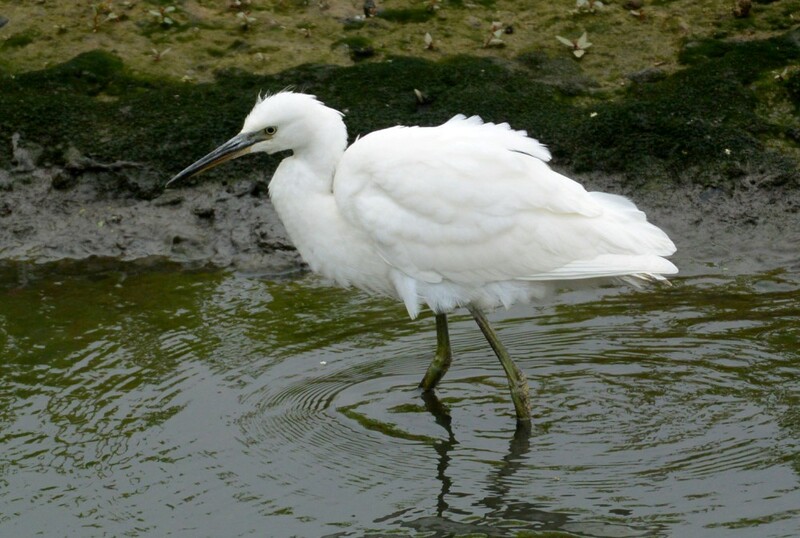 Good birds included: 1 Little Egret, 4 Green Sandpipers, 1 Common Sandpiper, 3 Common Terns, 12 Black-tailed Godwits, 1 juvenile Black-necked Grebe and 1 Kingfisher. 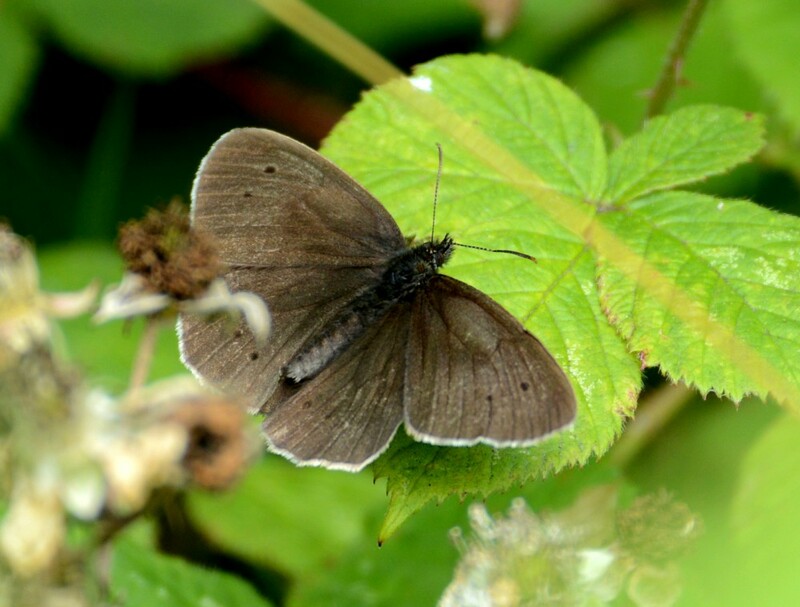 Whilst monitoring the butterfly transect I found a single Ringlet on the Canal Track just opposite the pallisade gates at the entrance to No.2 bed. Also a Holly Blue on the canal track about 100 yards to the west of the car park. 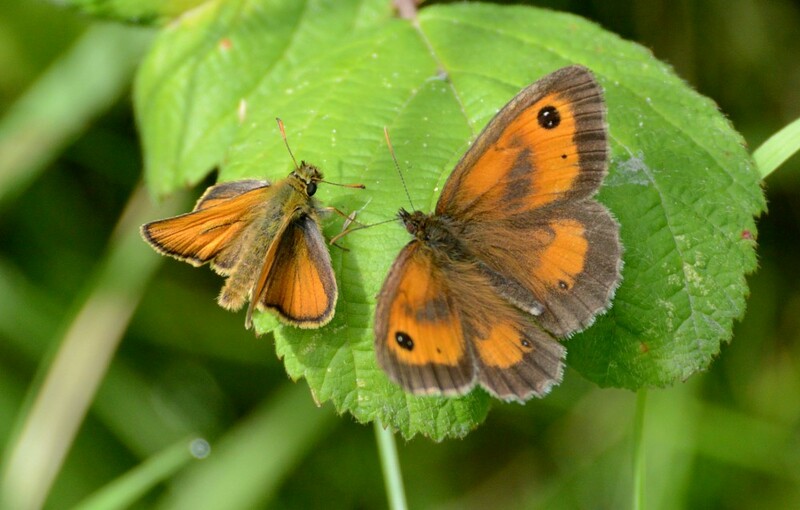 A survey of the northern half of No.1 bed produced over 90 Gatekeeper and 57 Meadow Brown together with a few Large and Small Skippers. Purple Hairstreak Butterflies, No3 Bed. Much further up the track than the previous sightings. Go Past the Sybil Hogg Hide, walk past the Buddleia bush on the right hand side, keep going for about another 15 meters or so, there is an opening that lets in lots of sunlight. 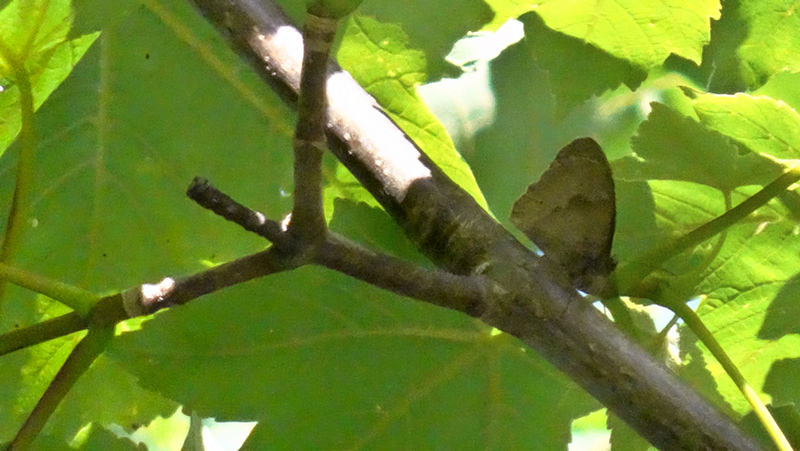 I noticed what looked like a hairstreak quickly flutter along the nettles and then very rapidly up into the trees. I managed to keep my eye on it and get this photo. It moved once more, but then sat in the same spot for about an hour. David Spencer turned up and I was able to point it out to him. I noticed at least one more hairstreak rapidly flying by whilst photographing and videoing this one, it flew toward the trees even further up the track. So 2 sightings confirmed today. I noticed they were more active at about 1745-1815. 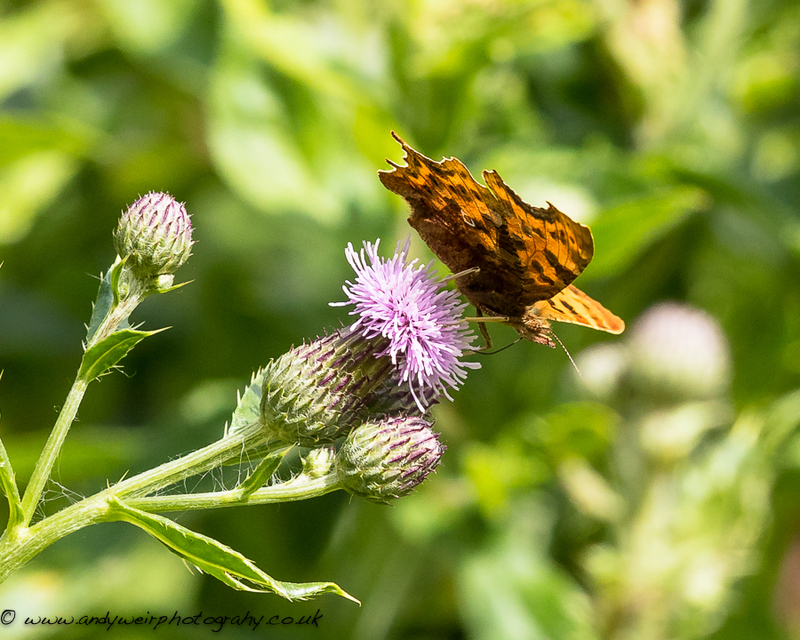 Excellent morning, with some good birds and plenty of dragonflies and butterflies. Highlights were: 9 Black-tailed Godwits, 2 Common Terns, 2 Little Ringed Plovers, 2 Black-necked Grebes, 2 Ravens, 2 Ruddy Ducks and a family party of Sparrowhawks. 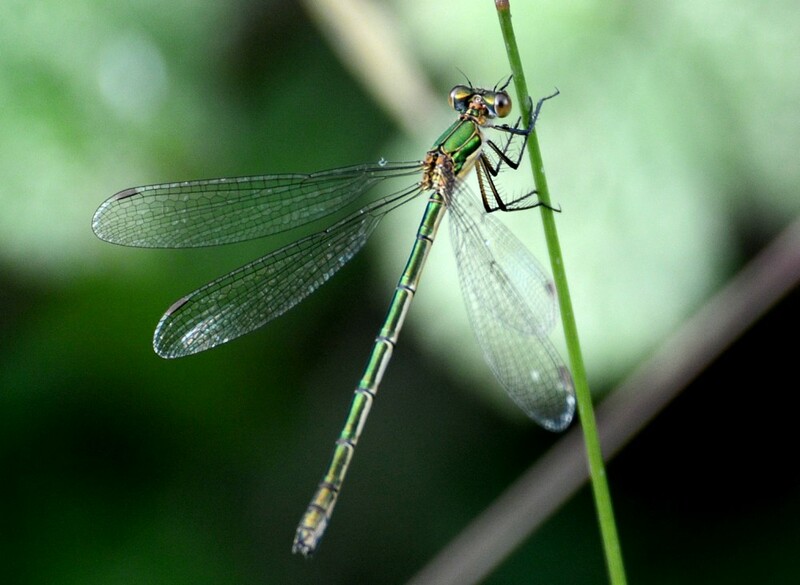 Odonata included: 2 Emperors, 4 Black-tailed Skimmers, 9 Brown Hawkers, 2 Southern Hawkers, 14 Ruddy Darters (9 males), 5 Common Darters, 6 Emerald Damselflies and at least 40 Common Blue Damselflies. Butterflies included: 30 Gatekeepers, 14 Meadow Browns, 5 Commas, 2 Red Admirals, 1 Large White, 5 Speckled Woods and 2 Small Skippers. 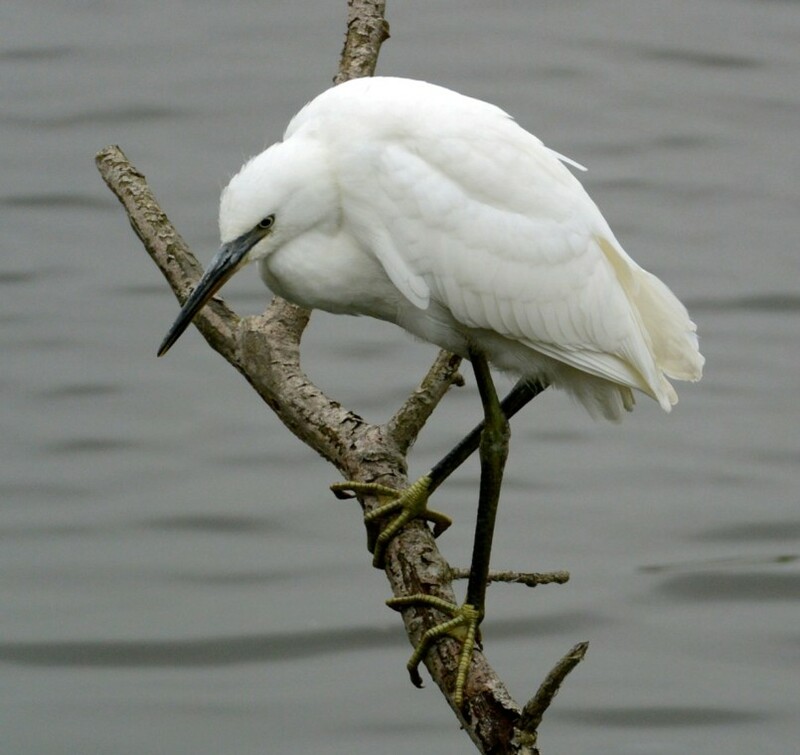 Just after I posted the negative news for the Great White Egret, Kieran Foster has reported it again this evening from the Tower Hide. First Visit to the Hide on No4 Bed this evening. A Lovely Quiet spot. 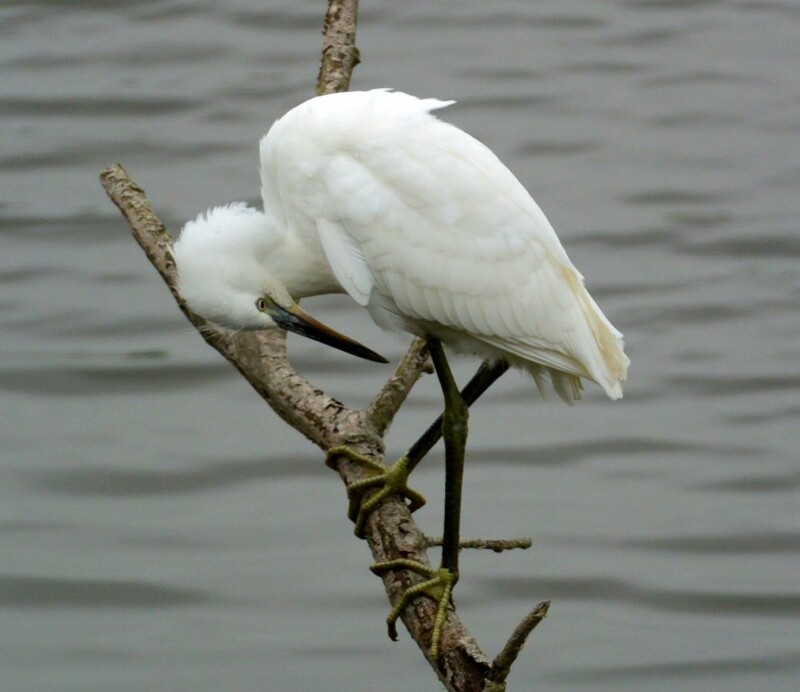 Spotted what looked to be the Great White Egret, and also the Female Shoveler with chicks. Photo only has 7, but there are 8 chicks. A really good morning, starting with a jaunt to get the Red-footed Falcon in Staffordshire (with Black Redstart in the same field) Then a dash back to Nos.3 and 4 beds, to catch up with Great White Egret, with 1 Little Egret, 1 Black-necked Grebe, 2 Little Ringed Plovers, 4 Green Sandpipers and 2 Ruddy Ducks for good measure. 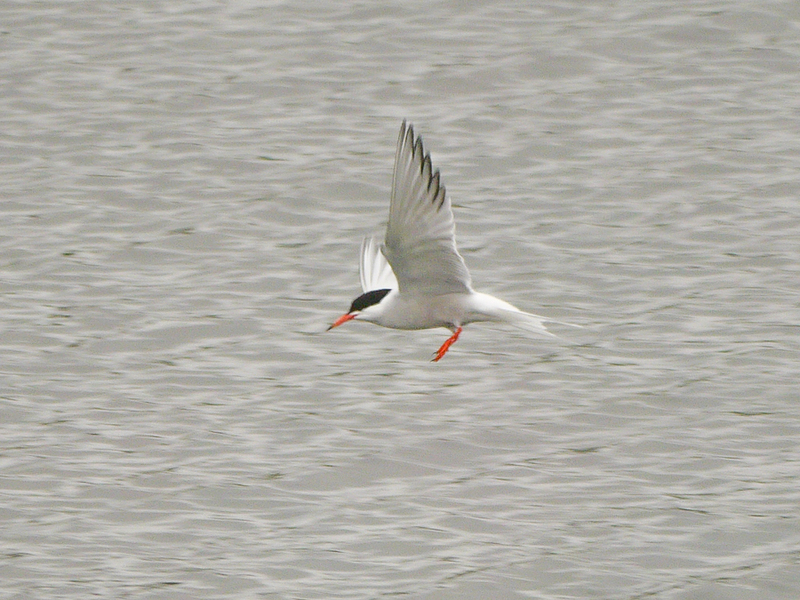 Earlier in the morning, 3 Common Terns also passed through (per Bert Lloyd and John Verdon). An evening visit and my first search for Purple Hairstreaks this year. 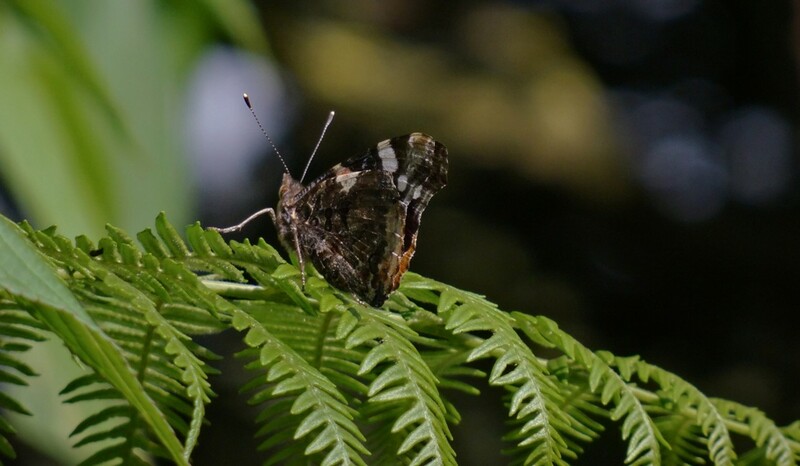 In spite of the rather blustery conditions I found a single butterfly at about 7 p.m. which was flying very actively in the oak trees just to the west of the Sybil Hogg Hide. 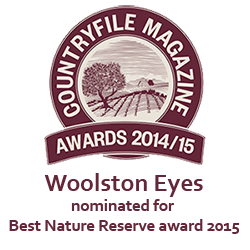 On No.3 bed Gadwall numbers were less than recently at around 300 whilst Coot totalled between 90 and 100. 26 lapwing were on the scrape and about 100 Starlings flew in, presumably to roost. On leaving the bed a juvenile Great Spotted Woodpecker was perched on the footbridge calling loudly and the resident pair of Grey Wagtails were at Latchford Locks. Although breeding has certainly been attempted there I have not seen any young. 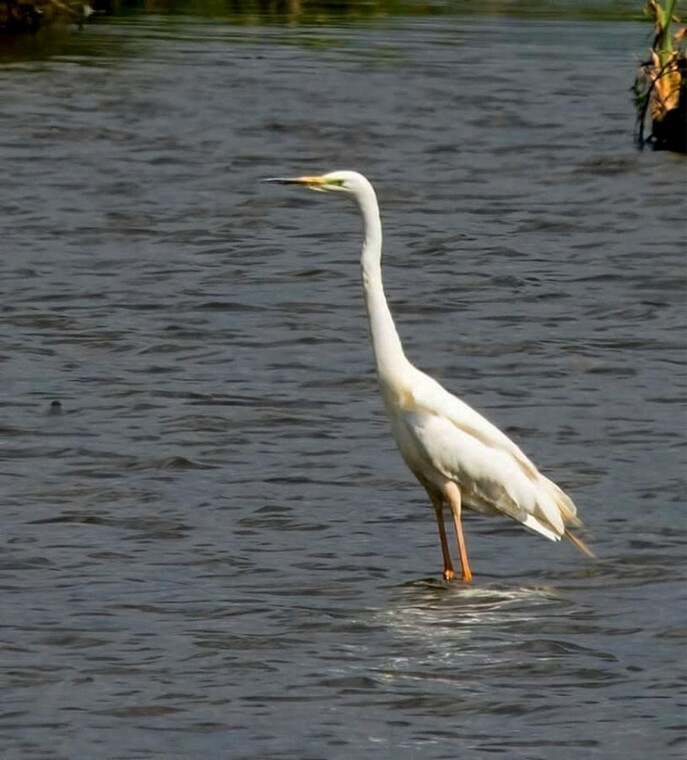 The Great White Egret was on the loop of No.4 bed again this morning. It then flew towards No.3 bed but has not been relocated. On No.3 bed there were 3 Green Sandpipers and John Langley saw 2 Common Sandpipers and 2 Snipe. Loop of No.4 bed. 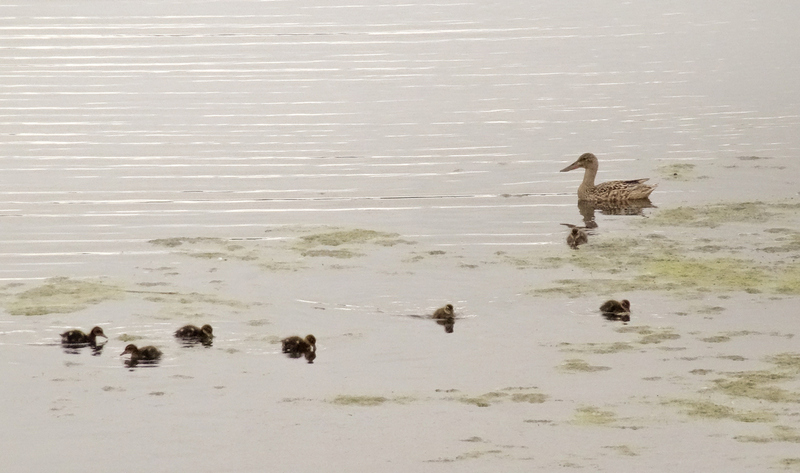 Highlight was a brood of 8 tiny young Shoveler the first confirmed breeding since 2007! Also many other duck broods. 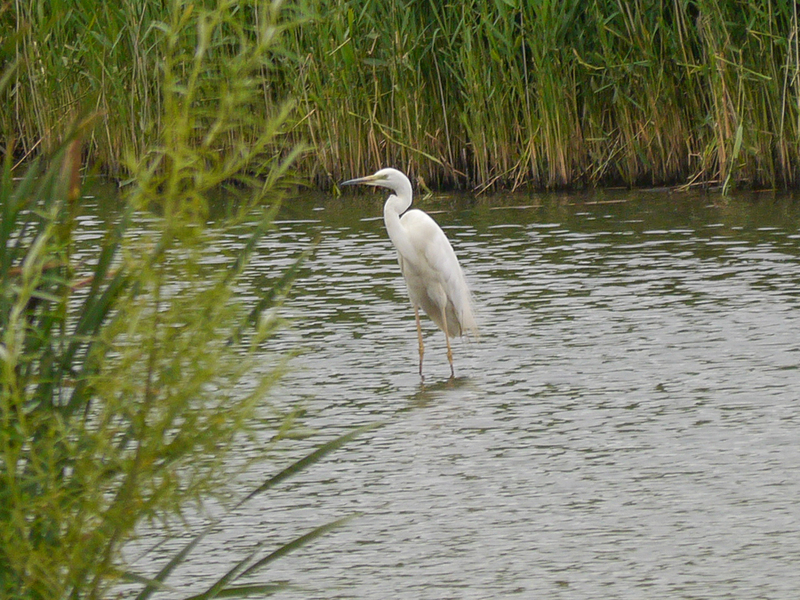 Permit holders reported a Great White Egret in front of the Loop hide. This bird then moved over to No.3 bed. Unfortunately missed it on both occasions. On no.3 bed 4 Black necked grebes-2 adults and 2 full grown young on NW Pool.31 Mute Swans. 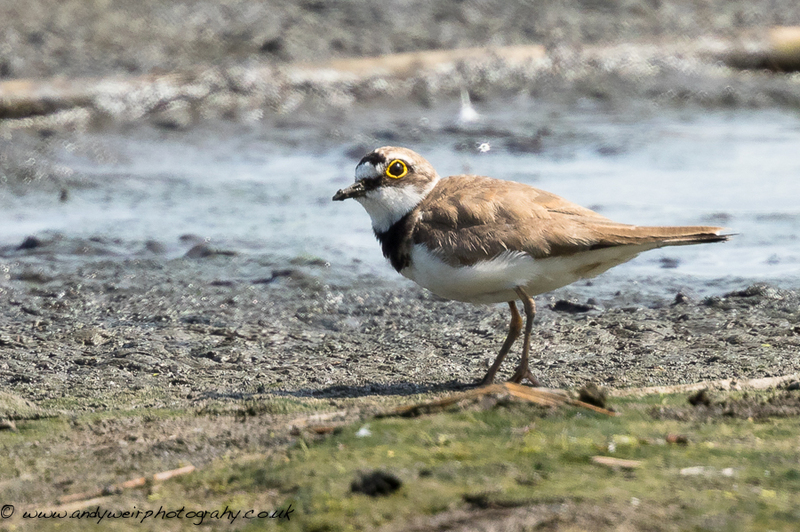 Little Ringed Plover (Charadrius dubius), taken from the John Morgan hide..
A Great White Egret turned up in front of the Tower Hide on No.3 bed at lunchtime today. 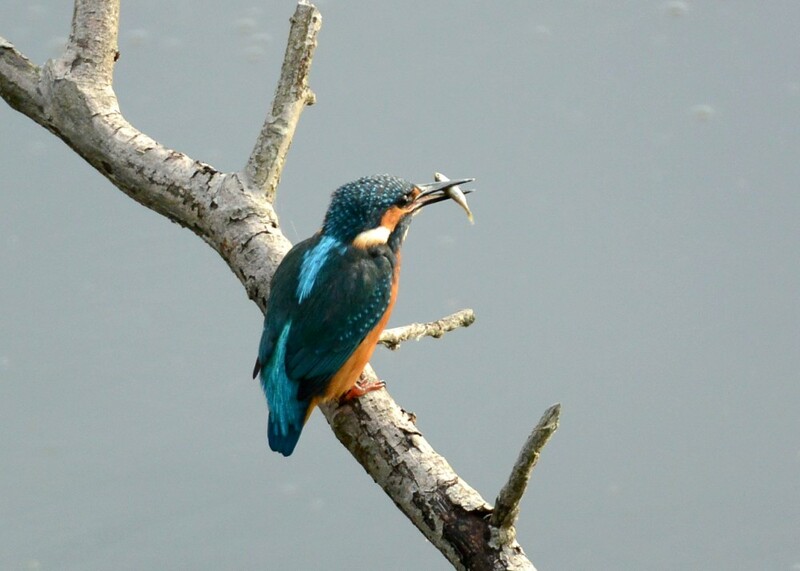 Found by Karl Bishop it was confirmed and photographed by John Tymon before flying NW at 1.30 pm. 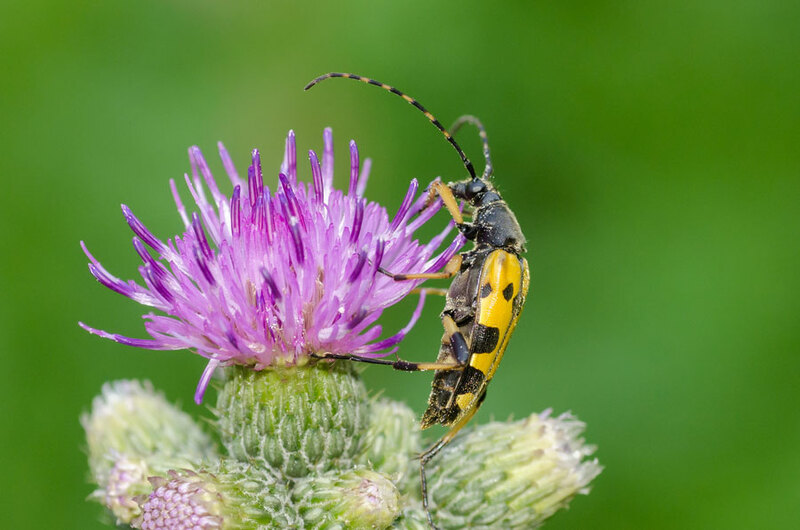 During the dog days of summer the birding can get a little slow, so we entertain ourselves by wandering round doing butterfly and dragonfly counts. Today was typical, with a Green Sandpiper reported and 3 Little Ringed Plovers the only other birds of real note. Butterfly totals included: 104 Gatekeepers, 61 Meadow Browns, 9 Small Tortoiseshells, 14 Commas, 8 Small Skippers, 7 Red Admirals, 10 Small Whites, 1 Large White and 2 Speckled Woods. 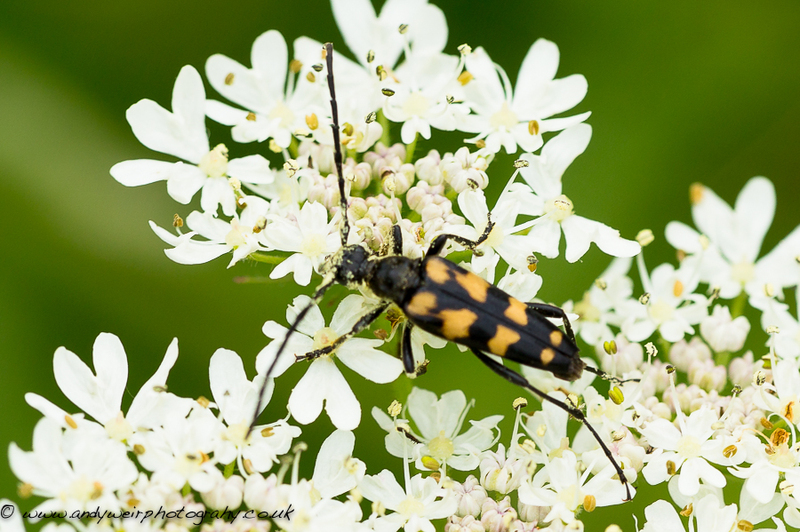 There were plenty of Six-spot Burnet moths, too, with 35 counted on No.1 bed. 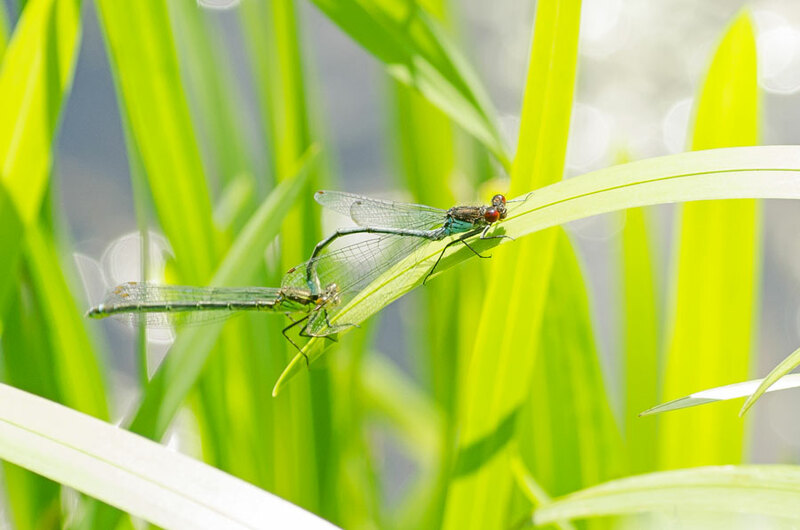 Dragonflies were abundant, particularly on No.1 bed where hundreds of Darter sp. were around the New Pool. 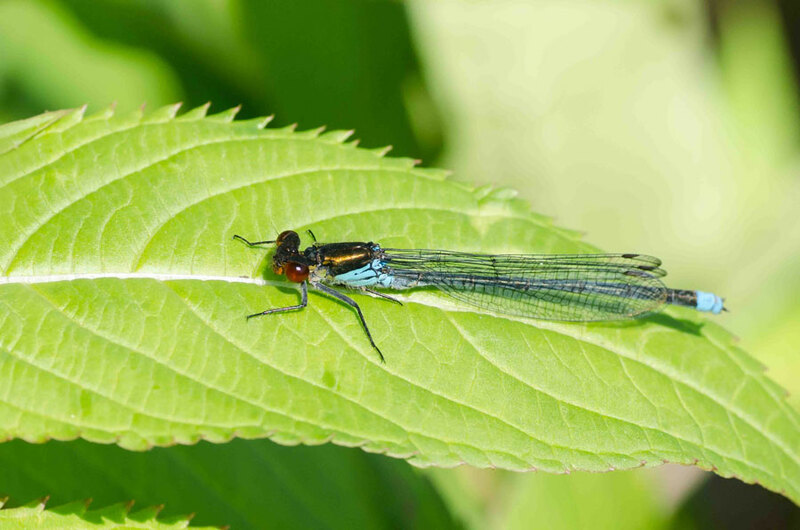 Those identified included: 10 Brown Hawkers, 3 Southern Hawkers, 13 Black-tailed Skimmers, 4 Common Darters, 22 Ruddy Darters, 4 Emerald Damselflies, 1 Red-eyed Damselfly, 40 Common Blue Damselflies and 30 Blue-tailed Damselflies. 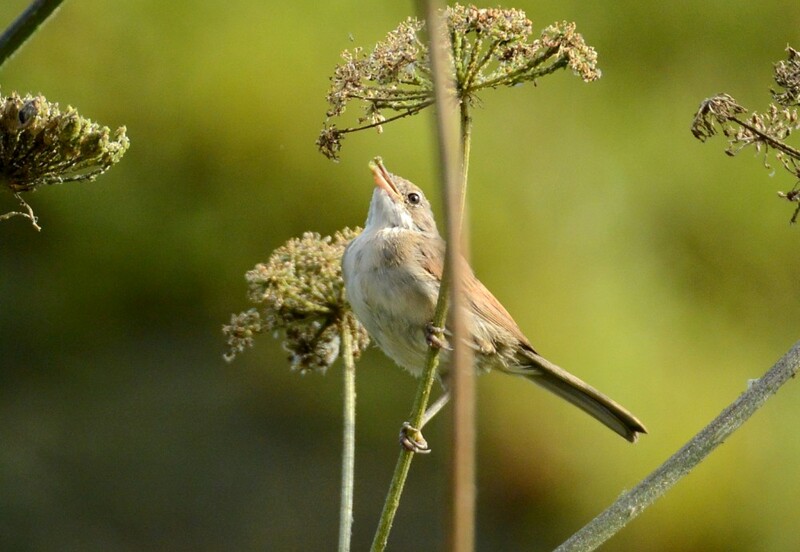 Picture of a Whitethroat feeding on Hogweed. 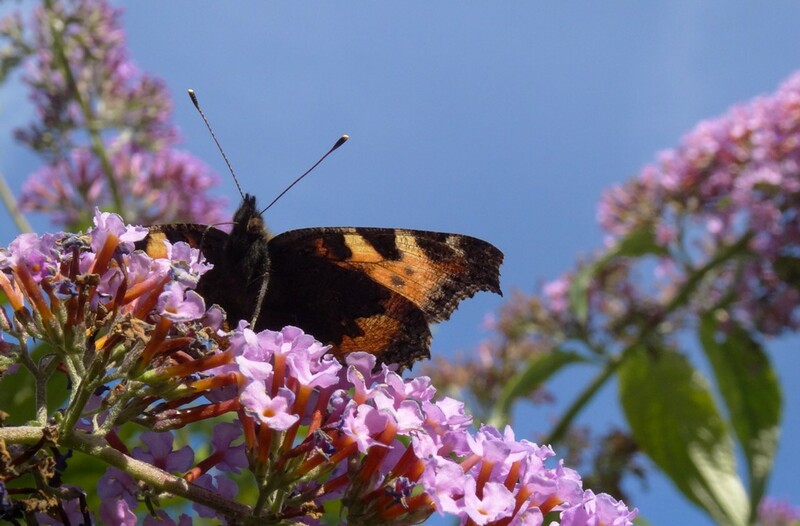 A lovely sunny day with plenty of butterflies. Reserve totals were 315 Gatekeeper,180 Meadow Brown, 27 Comma, 23 Small Skipper, 16 Small Tortoiseshell,8 Large Skipper, 5 Red Admiral, 3 Speckled Wood and 1 Painted Lady. Also of note were 2 Banded Demoiselle and 2 small Pheasant chicks on No.4 bed. Another morning with good sightings in sunny weather on No.3 bed. Prior to a session of Balsam pulling David Spencer, Brian Baird and I spent a couple of hours birding from the Morgan Hide. Two Black-necked Grebes (1 adult and 1 young), 2 Ruddy Ducks, 3 Little Ringed Plovers, 2 new broods of Tufted Duck and a Kingfisher which posed for photographs were the highlights. 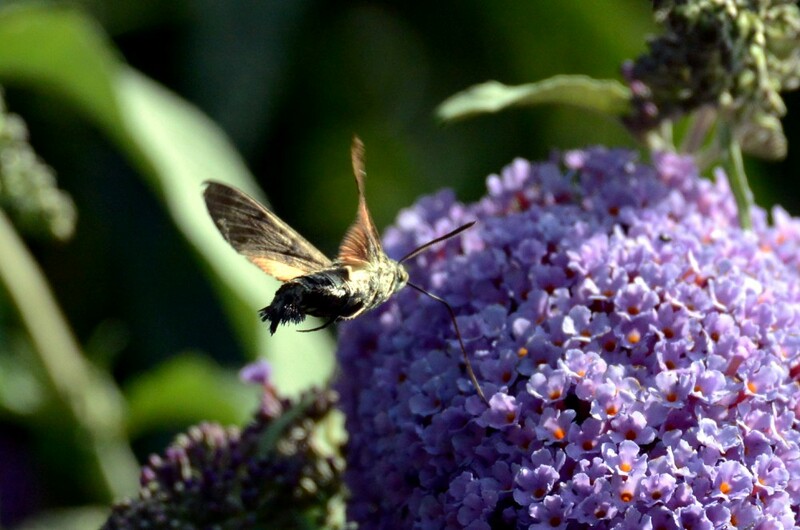 A second Ringlet for the bed was reported from near the Hogg Hide and a Humming-bird Hawk-moth on a Buddleia was a nice surprise as we were leaving. 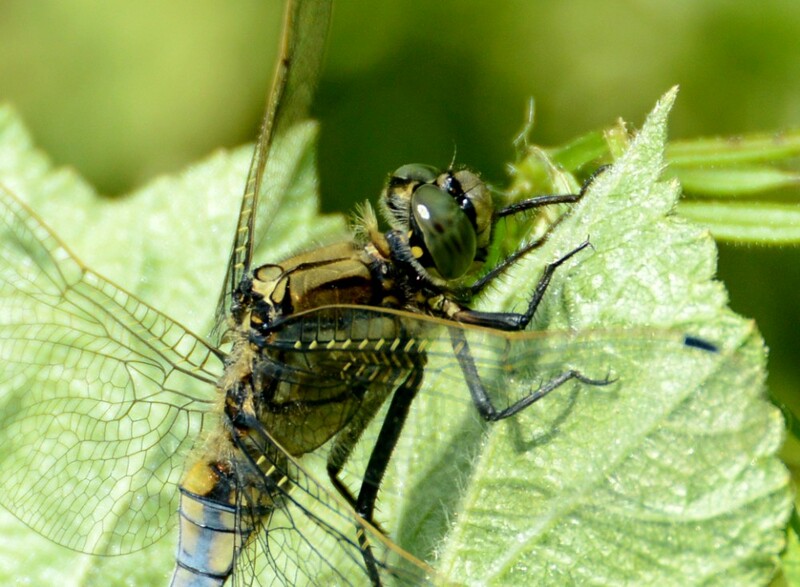 Close-up of a Black-tailed Skimmer from this morning. Try again! Black-tailed Skimmer from No.3 bed this morning. With the sun shining I decided to try and do a dragonfly survey of Nos.1 and 3 beds, while also trying to grab some dragonfly photos. Starting on No.3 bed, sightings included 2 adult Hobbies (flushed from the east bank), 2 Little Ringed Plovers, 2 Wigeon and a Redshank. 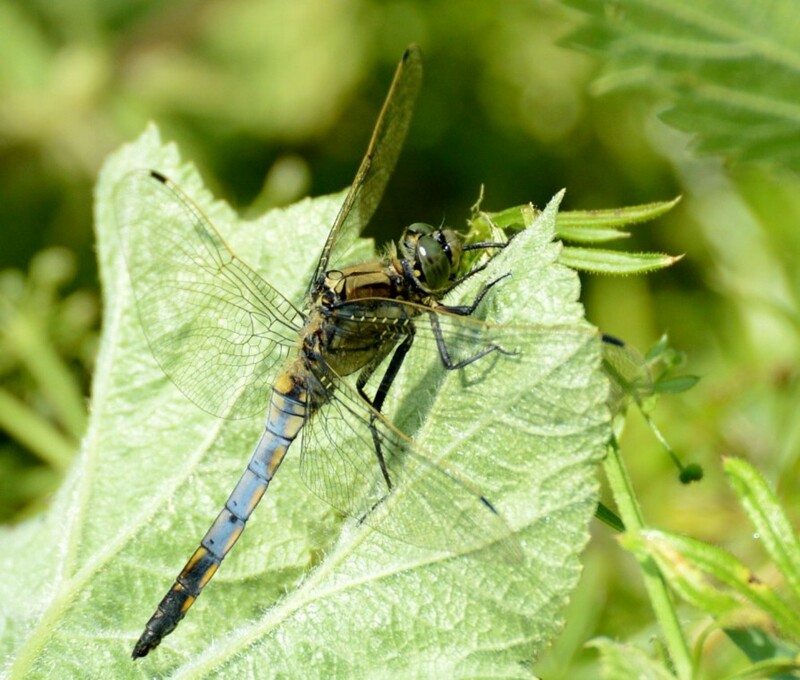 Dragonfly totals for the two beds were: 25 Brown Hawkers, 16 Black-tailed Skimmers, 2 Southern Hawkers, 2 Four-spotted Chasers, 5 Emperors, scores of Darters with Ruddy Darter predominant and lots of Azure and Blue-tailed Damselflies. A single female Ringlet was also still on No.2 bed. While surveying the “New Pool” on No.1 bed the fledged juvenile Peregrine, with the adult male in train, came and stooped at me several times - brilliant! 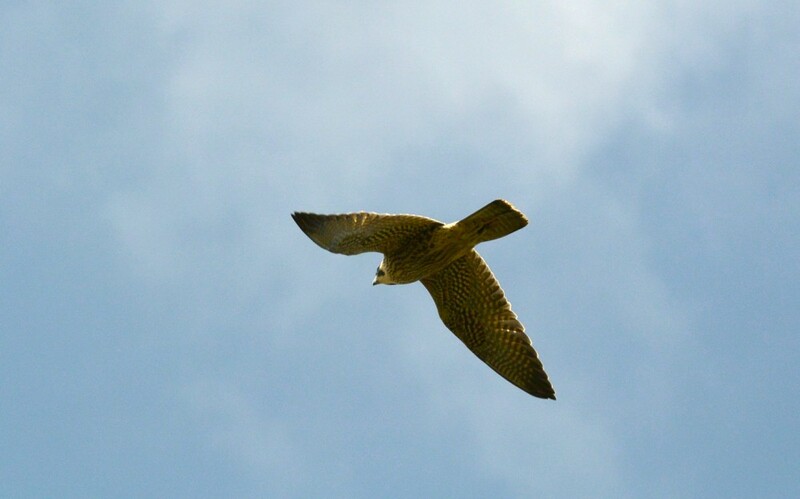 Photo of the juvenile Peregrine from No.1 bed this morning. 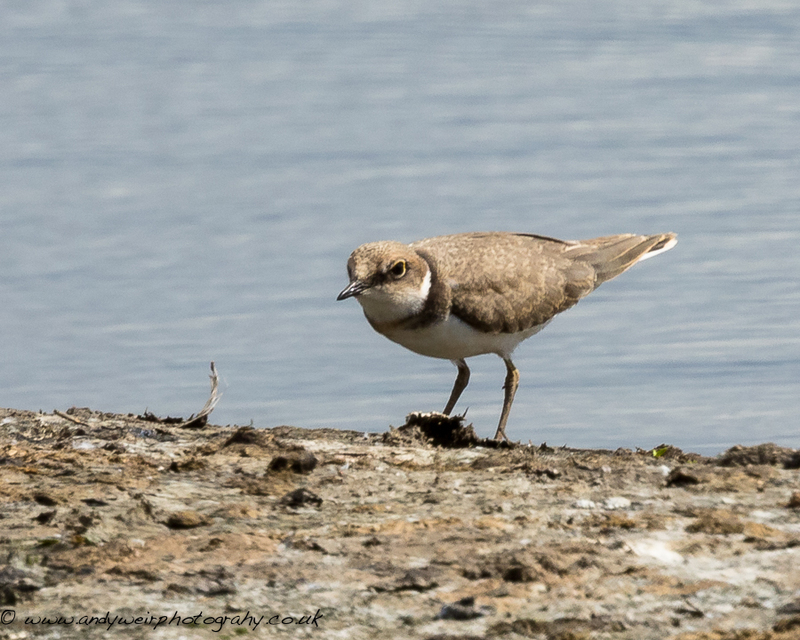 Little Ringed Plover (Charadrius dubius)taken from John Morgan Hide. A very productive morning on No.4 bed and the Loop. On the Sandpit Pond 2 Little Grebe chicks growing well while a Buzzard may have been visiting a possible nest site. 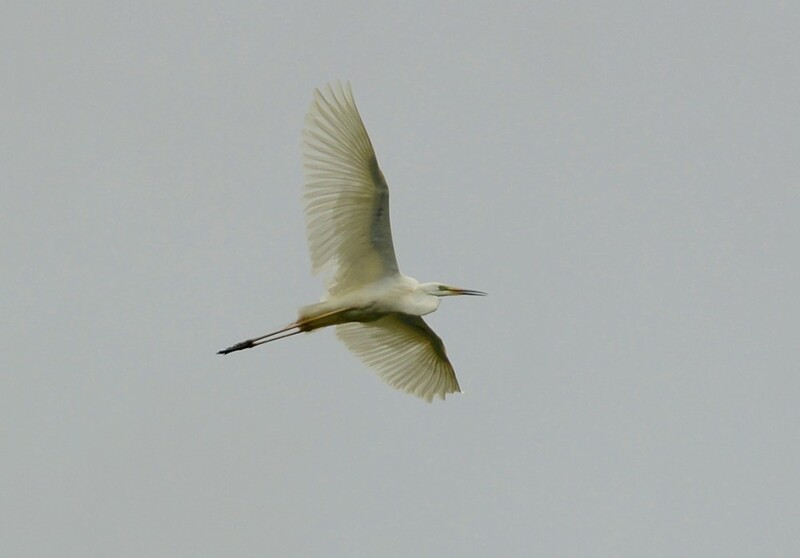 Soon after flew overhead with a long piece of vegetation trailing from its tail- looked like Goose grass. Loop was full of broods and it seems that the rapid growth of plants has kept off dog walkers and those intent on trouble.Three broods of Coot ( including one of 5 very small young), two broods of Moorhen and 2 adult Little Grebes each feeding single young of about the same age.Three broods of Tufted Duck-one of 6 tiny young,one of 6 small young and a third of 4 young ca. 3 weeks old. 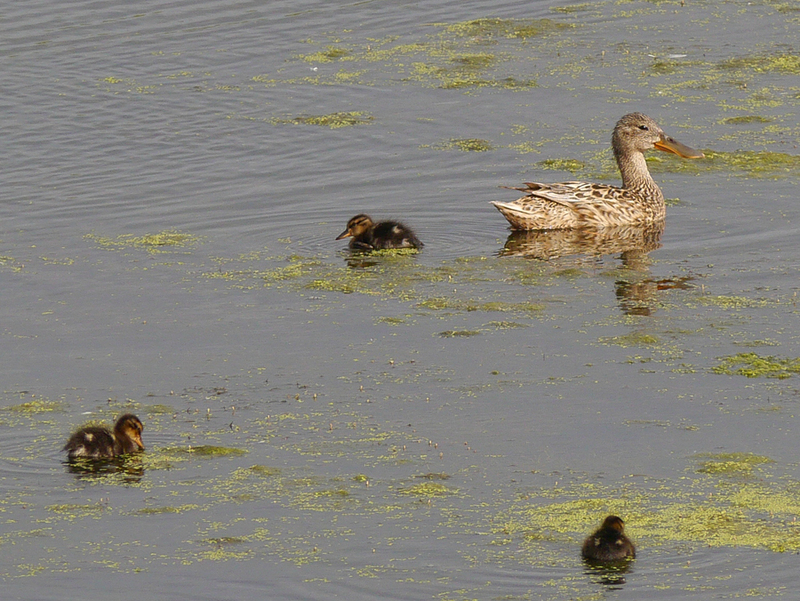 A female Pochard with 2 large young and a Mallard with 6 near full grown young. Giant Hogweed on islands already on way to setting seed. Fine display of Purple loosestrife on fringes of two of the islands. 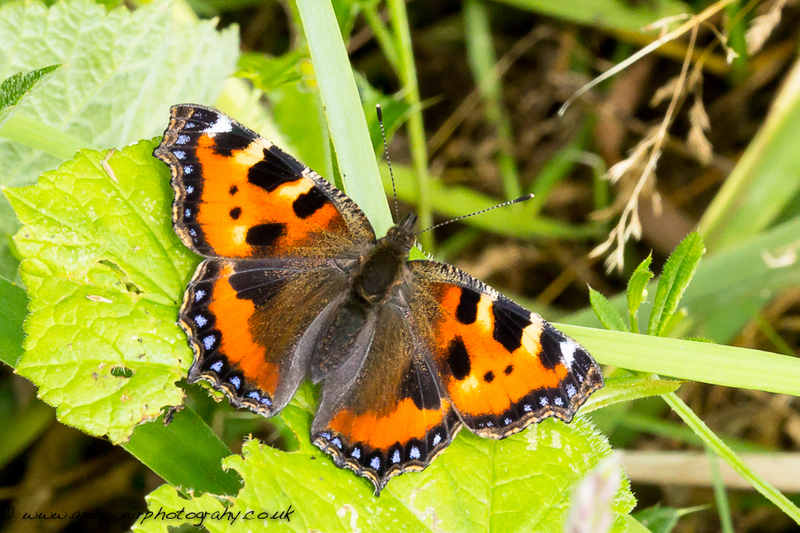 Butterflies : 4 Red Admirals,2 Commas, 5 Small tortoiseshells,3 Speckled Woods. Photo of a Gatekeeper, which was displaying to a Small Skipper on No.1 bed this morning. An eclipse drake Garganey was seen briefly this morning. Also present were 3 Green Sandpipers and 3 Little Ringed Plover. 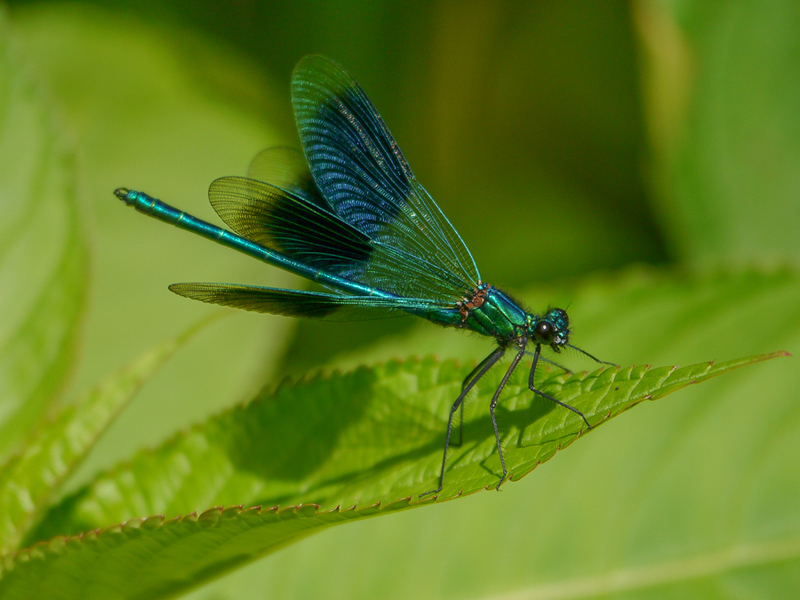 I looked for the Ringlet without success but did see Gatekeeper and this Banded Demoiselle. Having cut short last week’s walk due to excessive heat, today’s was curtailed as a result of the cold and damp conditions which made walking through the long wet grass on Nos 1 and 2 beds less enjoyable than usual! The British summer never ceases to amaze. 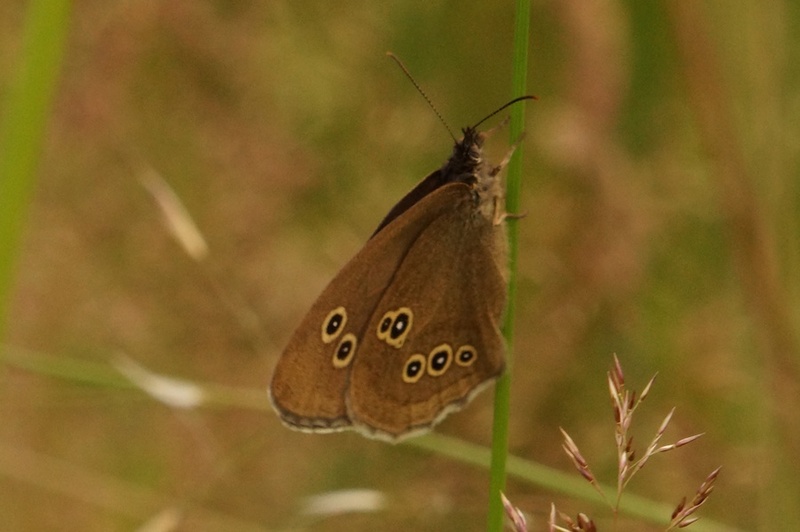 In spite of the weather I briefly caught sight of the Ringlet on No.2 bed. 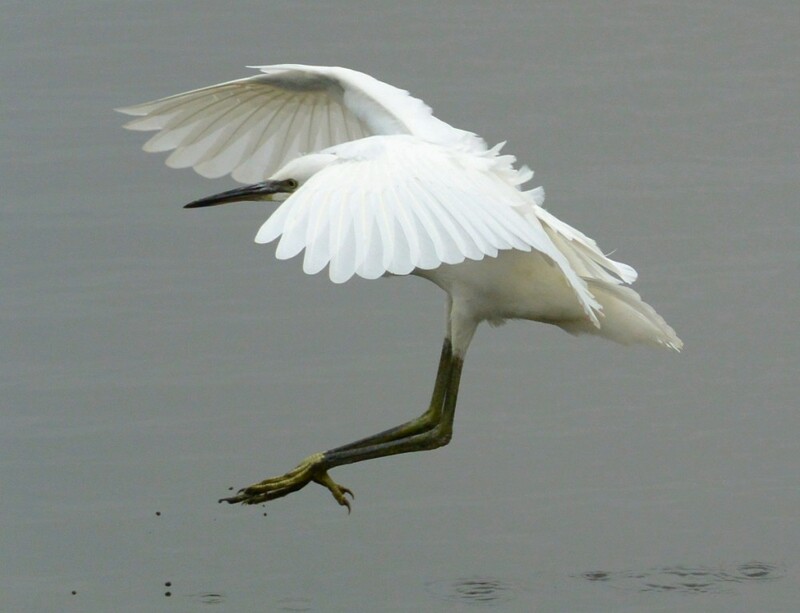 This species often flies in cool conditions and even in light rain. 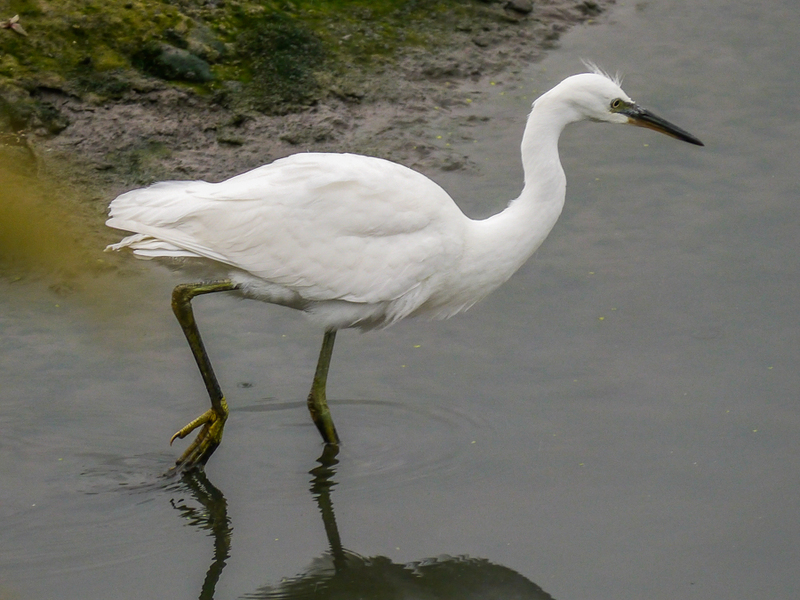 The Little Egret was showing well in front of the John Morgan Hide where a Redshank was also present. After a meeting on No.1 bed this morning, I managed a couple of hours birding from the Morgan Hide on no.3 bed. 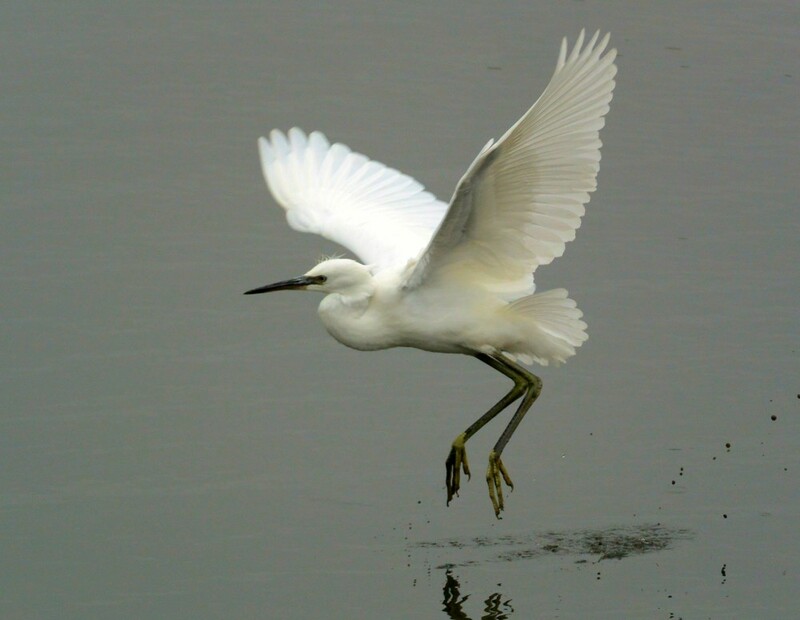 The Little Egret, 2 Common Terns and a Redshank plus a handful of Black-necked Grebes were still present, though there was no sign of the 2 Common Sandpipers or Green Sandpiper reported by David Spencer this morning. 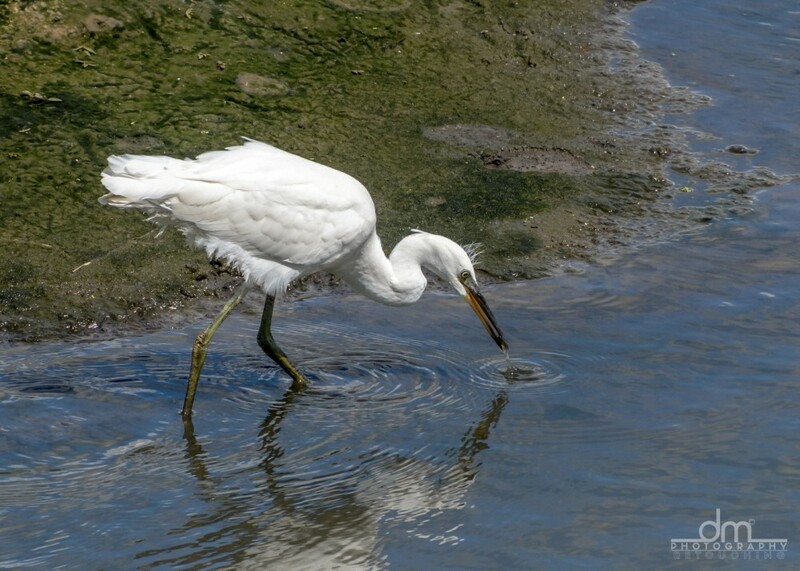 Had an enjoyable half-hour trying to get a decent portrait of the Egret, which was taking some of the many thousands of fish fry which were evident in the channels round the scrape. 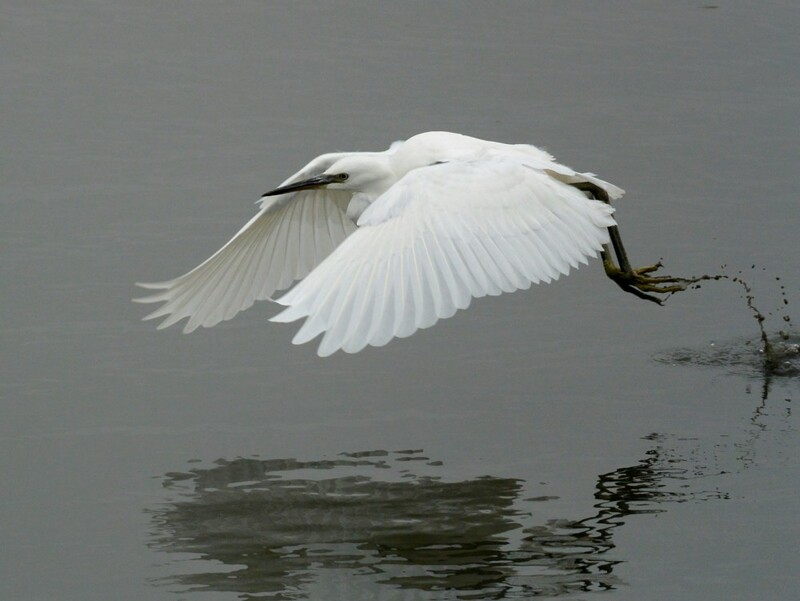 Here’s David Mercer’s Little Egret photo from earlier today. 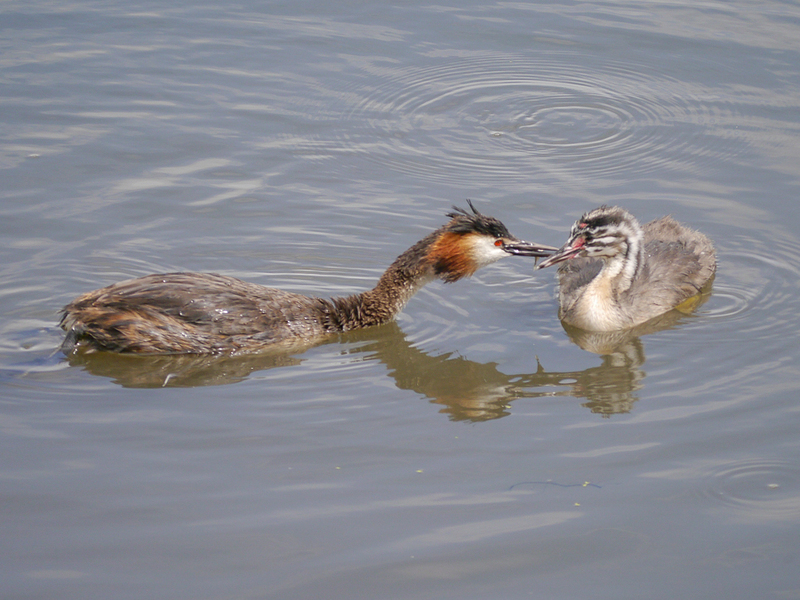 There are thousands of small fish in the channel below the John Morgan which these grebes were feeding on. 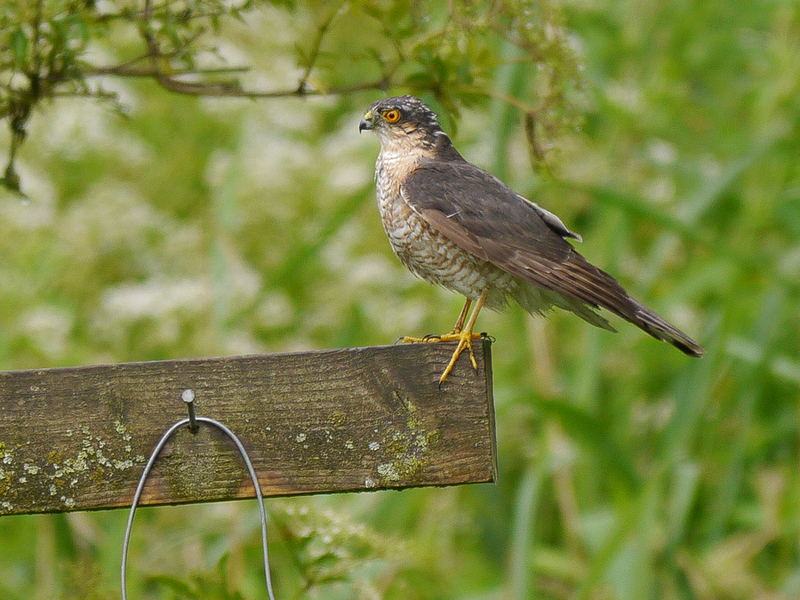 Male Sparrowhawk on the feeders. 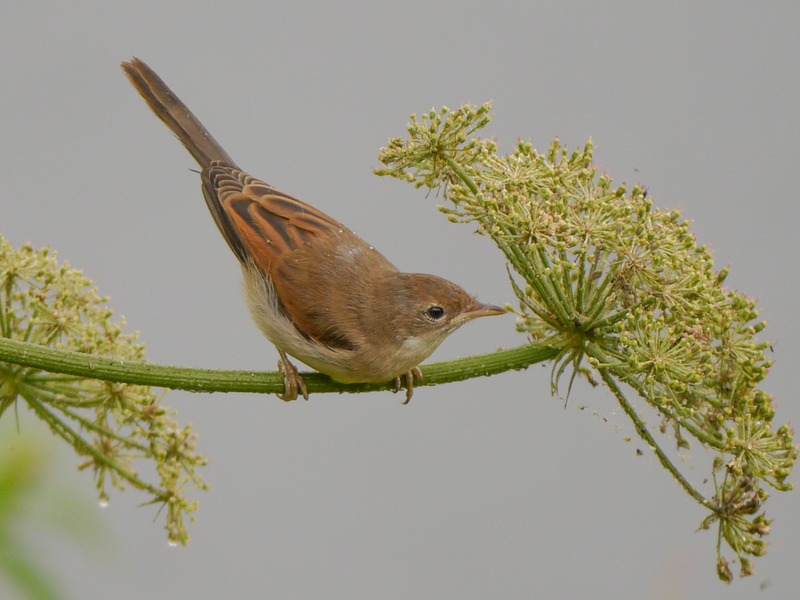 Whitethroat feeding in front of the John Morgan hide. 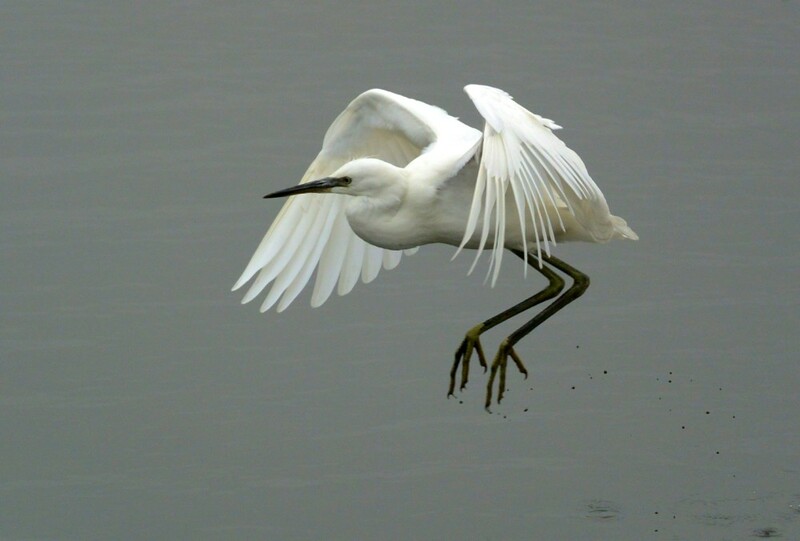 Today’s sightings included 1 Little Egret, 2 Green Sandpipers (singles from the South Screen and Rotary Hide, 2 Little Ringed Plovers and 1 Oystercatcher. 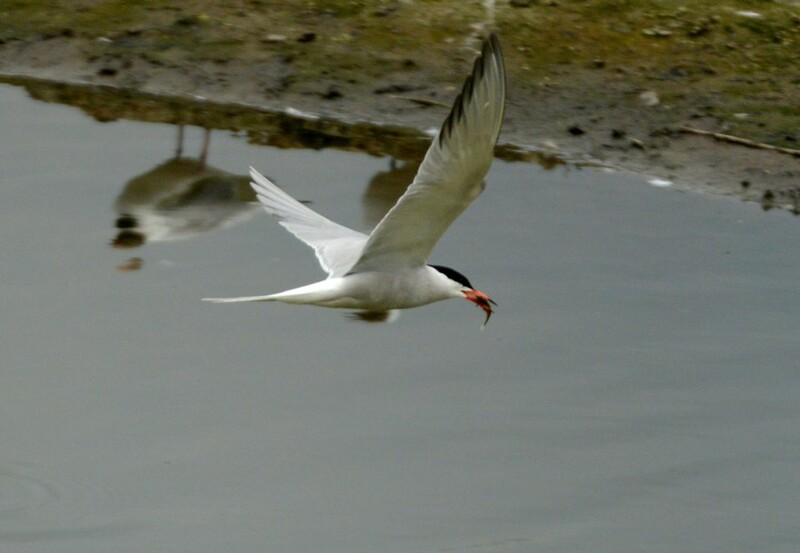 Two Common Terns and a Common Sandpiper this morning. 4 Green Sandpipers on No.3 bed this morning and a Lesser Whitethroat singing by the weir footbridge this evening. Due to the hot weather I only covered the eastern half of the reserve today. 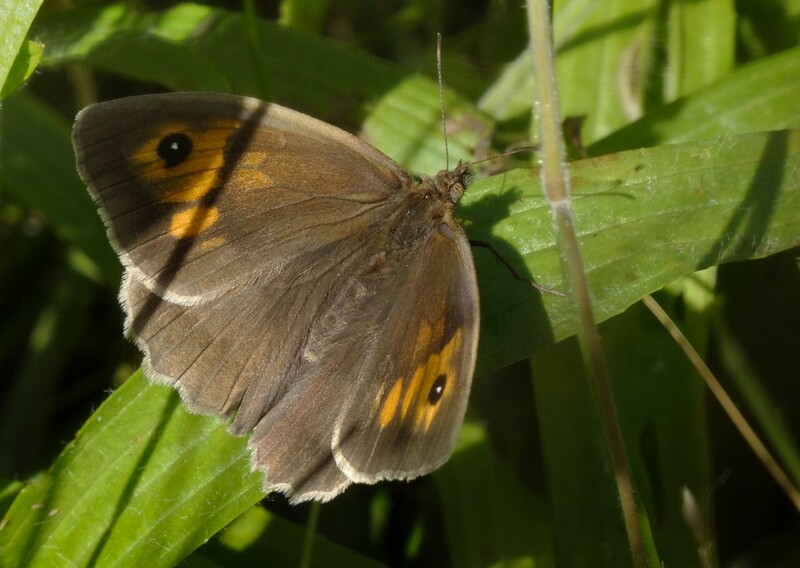 There were plenty of Meadow Browns (a total of about 150 including those counted on Sunday) and a Ringlet in the south east corner of No.2 bed. 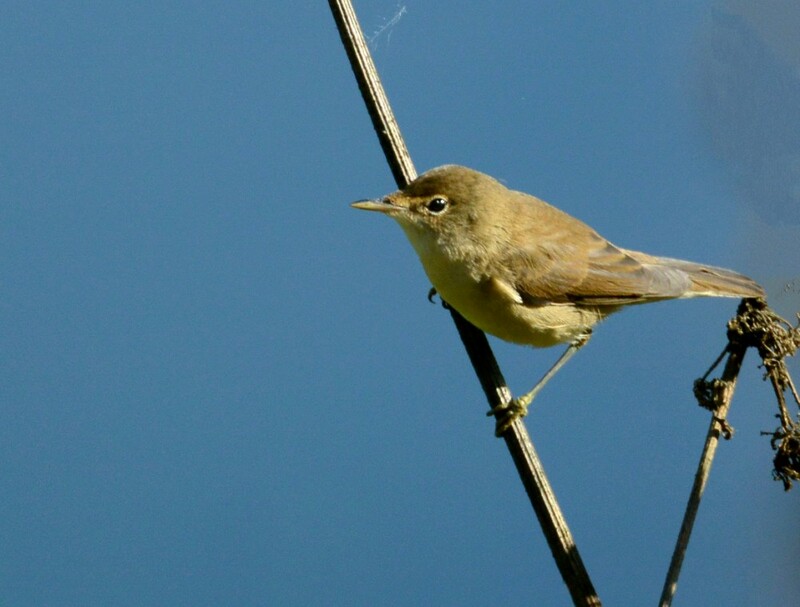 Interestingly this is on the same date and in the same place as last year’s solitary record. 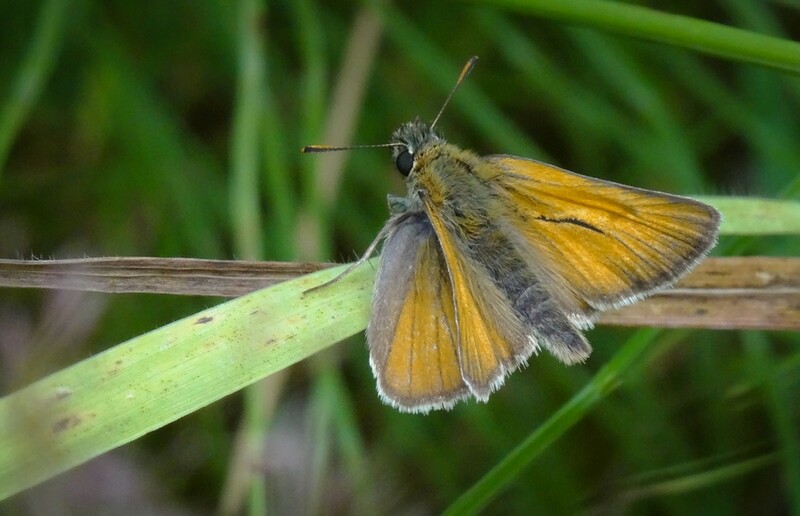 An overall total for Large Skipper was 26, a record count for Woolston. Small Skippers have now started to emerge and I found 8 on No.1 bed.